Herndon, VA (PRWEB) September 08, 2011: TenPearls, a Pakistani application development company, won 2nd Prize for its mobile app, ANIMAL 101, in the Trivia and Education category of Nokia and AT&T’s “Calling All Innovators 2011” mobile app and games contest. This is the second award TenPearls has received for its mobile apps within a year. The first award was the 1st prize that TenPearls received for the uTrack mobile app earlier in 2011. ANIMAL 101 is a fun mobile game which provides an engaging way for children to learn about animals. This voice-driven, visually appealing mobile game allows two to seven year old kids to enjoy this learning game. 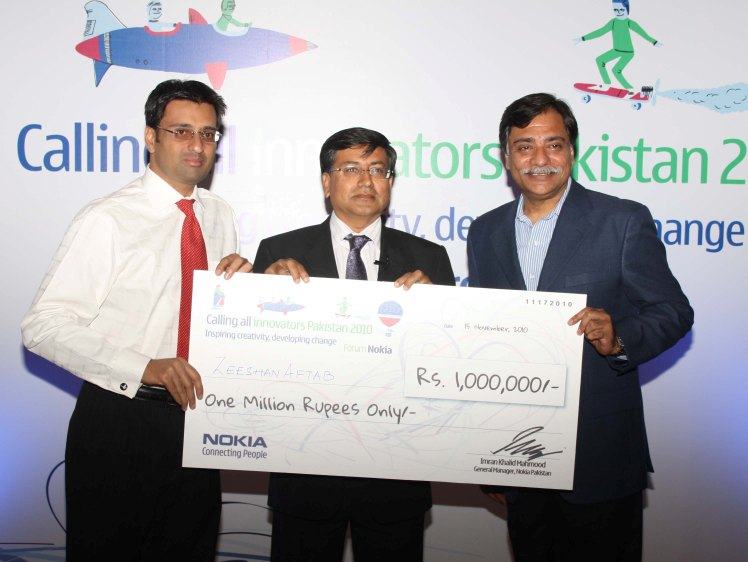 TenPearls also received 1st prize at the 'Nokia Calling all Innovators Award' earlier this year.